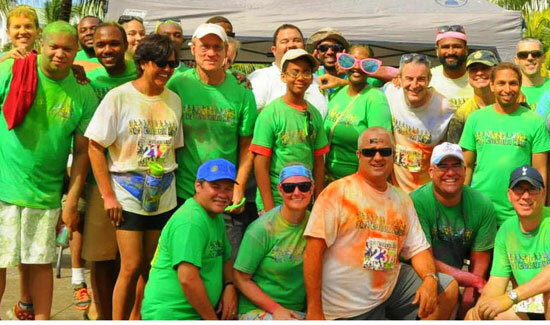 Nassau, Bahamas – The 242 Colour Run season is about to start, with the first event taking place in Nassau on September 28th. The event is a 5km (3.1 mile) run or walk which leads participants on a course with various colour stations, which saturate them in colour. The non-toxic powder brightens participants from head to toe, many of which are already wearing bright and colourful costumes. There are no winners in the event, and no official time is kept for the participants. Prizes are awarded at random to those who participate; last year five G-Shock watches were given out along with a myriad of other gifts. The family friendly event is designed to bring joy to all that participate, and past history proves that it does that quite well. 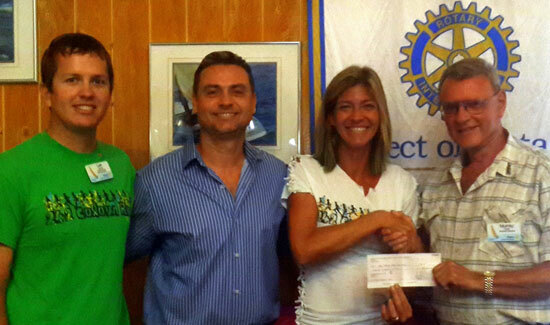 The event benefits the Rotary Club of East Nassau and the Rotaract Club of East Nassau. In 2013 both organizations received funds which went towards their community service projects and scholarship programs. Last year, 333 people, young and old, participated in the inaugural 242 Colour Run with scores more volunteers and spectators enjoying the event. This year, the organizers expect to double the participation. 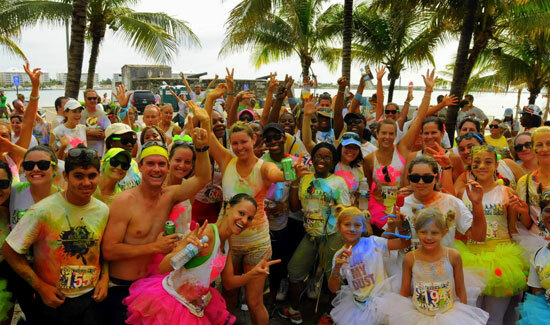 The 242 Colour Run also took place in Freeport and Abaco in 2013, which will occur again later in the year. Those interest in registering can visit www.run242.com or any of The Sports Center locations. The entry fee is discounted until September 21st. More information about the event, including photos from last years various locations, can be found on their website or on Facebook.